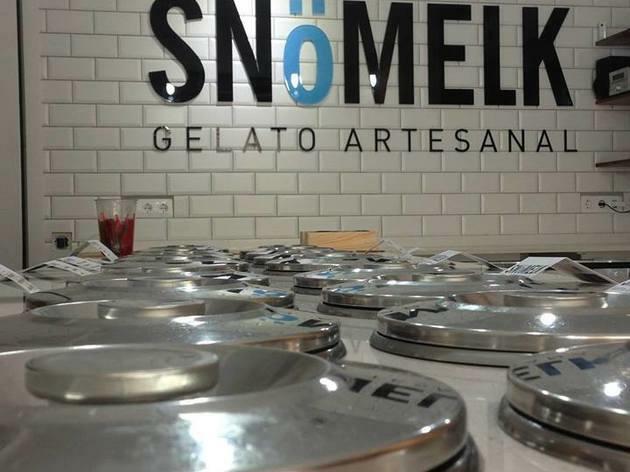 Though the name of this shop sounds like a Sigur Ros album title – 'Snömelk' is a combination of the Swedesh words for 'snow' and 'milk' – and it looks a bit like a high-end Nordic furniture shop, this is an Italian ice cream parlour: the beautiful line of 'pozzetti' bearing the ice cream give it away. 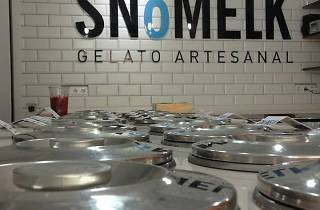 They don't make their own product but instead sell high-end Italian artisan ice cream. The acid test is to check not only that they don't make you thirsty, but the flavour of the pistachio. The chocolate with an exact pinpoint of salt will floor you.